Phantom Cardboard: You Douchebags Bring Your A-Game? You Douchebags Bring Your A-Game? When I got the idea for this card I said "this is gonna kill", and laughed a bit to myself; I'm assuming the way a comedian might when he/she gets an epiphany for some new material. The thought of this card is hilarious to me. I'm a fan of Ben Stiller's put upon type of characters. 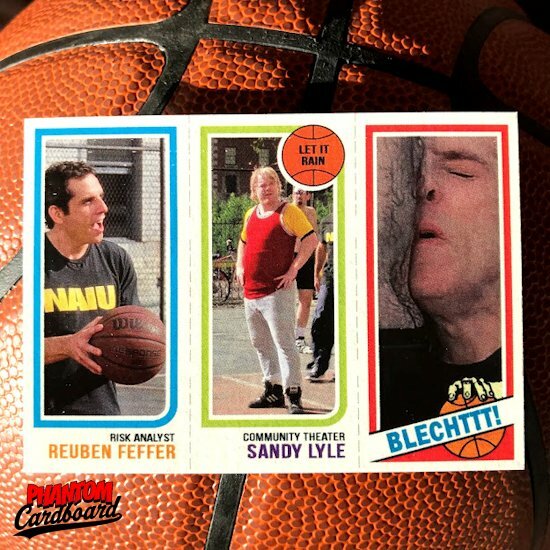 The kind of guy he plays in movies like Meet the Parents, The Heartbreak Kid, and the movie that inspired this card; Along Came Polly. Just so it's clear I'm a fan of pretty much every one of Ben's characters, it's just the good intentioned tough luck ones I feel I can really relate to. Let's be honest, Ben was great per usual but Philip Seymour Hoffman's "Sandy Lyle" character hijacked this movie. The guy was a brilliant actor in any genre. He slays in every single scene he's in. The basketball scene may be the funniest but even that's hard to say because he was just that good. 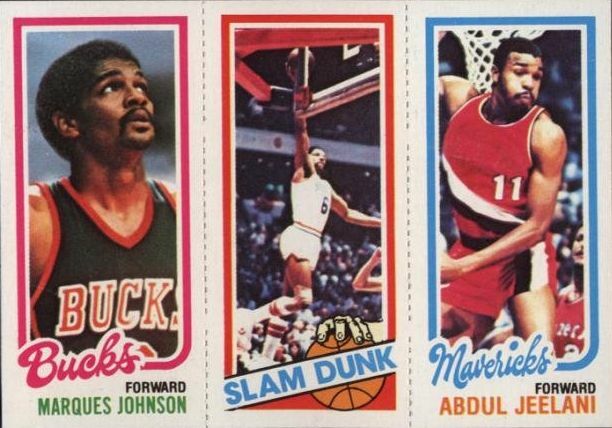 This is a newer movie, at least by my card's standards, so I picked my 1980-81 Topps basketball inspired design. It would of been hilarious in any template in my opinion but the 3-paneled design was perfect for what I wanted to do. Because of the Bird/Magic rookie it's an iconic set and the ability to use the three pictures makes it really fun to work with.